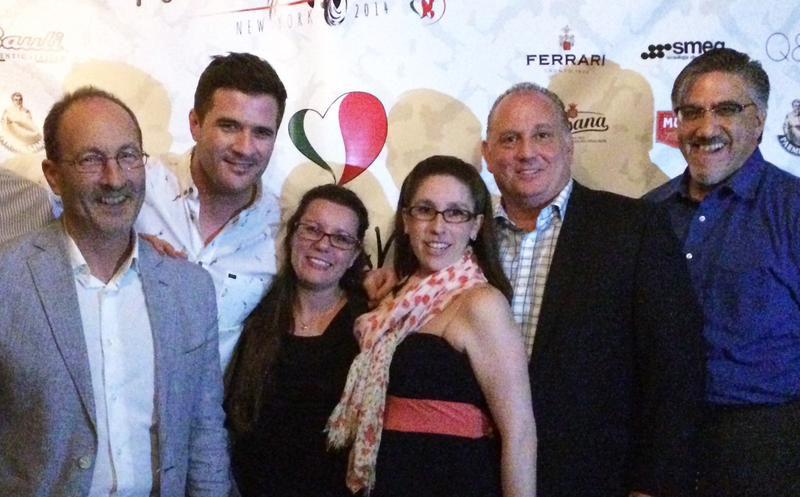 The president of Monini North America speaks to La Voce about its success, but also about the complexities tied to exporting Italian olive oil to America. From when it was established in 2000, Monini USA has reached remarkable objectives, such as having expanded distribution — something no longer limited to the food service industry. However, exporting Italian oil to America also means confronting challenges and difficulties, such as phenomena like “Italian sounding” or adulteration. But for Marco Petrini, the key is to aim towards quality and transparency. With perseverance. A career that began with studying in the United States at Boston College, then returning to Italy to oversee family-run businesses. 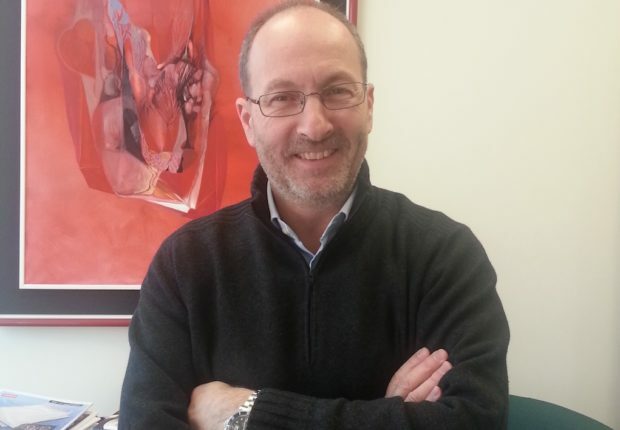 Marco Petrini – a Roman by birth, but of an Umbrian family — is from 2000 the president of Monini North America, the historical Italian business that produces oil, founded in Spoleto in 1920. After 18 years on American soil, Monini has grown and has conquered new market shares in the American market, a very complex and often difficult to penetrate. Marco Petrini speaks to La Voce di New York about the difficulties, but also the results, tied to exporting Italian oil, confronting phenomena like “Italian sounding” and adulteration. “Aiming towards quality, informing consumers, and being persistent”, are the order of the day for Petrini. How will Monini be in 20 years? “A consolidated brand that has reached great results, but that knows that it still can — and must — grow, especially in the American market”. From 2000, the year in which Monini USA was established, you took on the role of President. Since then, what have been the goals reached and the strategies that have been adopted? “Surely the most important ones have been that of expanding distribution in major American cities, that before was limited to the food service industry, and today instead includes large retailers and specialty stores. The strategies that we have adopted have mainly been those tied to local initiatives, tastings. For several years, we have also been affiliated with some of the cooking shows hosted by Lidia Bastianich and other talented American chefs. We are also promoting and conducting oil tasting courses in culinary schools to create awareness regarding the knowledge and the use of Italian olive oil”. What are the main complexities regarding the American market? “The complexities are tied most of all to culture. When you say the United States of America, you’re talking about 50 states, each different from the other, and that have different food cultures from our Mediterranean culture. If on the East Coast, especially in New York, more knowledge and information exist — even if often a bit misled regarding Made in Italy – but there are also areas which remain virtually untouched in the country, like the West Coast, the South, the Midwest. In these areas, which are more distant from the Mediterranean food culture, we must work more to create awareness and inform consumers on how to use olive oil and what its benefits are”. There are two aspects regarding olive oil that are hindering commerce and information: “Italian sounding” and adulteration. How are you confronting these phenomena? “With quality. The Monini company has never compromised when it came to the aspect of quality. Our extra virgin olive oil is a competitive product with regard to pricing, but it will not fold on quality. The “Italian sounding” phenomena must be tackled using information, with tenacity and continuity, in a market such as the American one, which often allows itself to be guided solely by pricing if the product is unknown. I advise consumers to be suspicious of extra virgin olive oils sold at $5 a bottle because in that case you’re dealing with oils that have been modified by blending other oils in the product, therefore changing its color and taste profile”. In your opinion, have Italian and American establishments done – and do – all that is possible to hinder the “Italian sounding” phenomenon? “They have, and they are, doing more in these past years if we consider the campaigns that have been set forth by the Italian Trade Commission in the United States, the journalistic probes, the FDA inspections that do not allow – when performed – any adulterated oils to pass through. We need to work with perseverance, aiming at information, at quality. We as a company do all that is possible to convey a product that is tied to Italian tradition, to quality”. The Monini company was established in 1920 by Zefferino Monini and today it continues its activities with a new generation. What are the elements of continuity compared to the past, and how does an historical company such as this one continue to innovate itself? 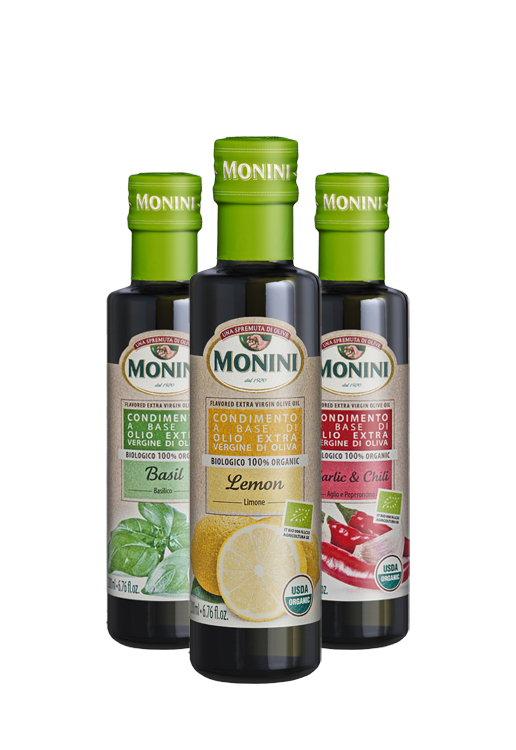 “Certainly, the first 40 years of the Monini company were dedicated to a regional presence, quickly aiming at extra virgin olive oil right from the beginning — which is the most difficult product to produce but also the healthiest. Starting from the 1970s, Monini oil spread at a national level and became, in the extra virgin category, the market leader. At the end of the 1990s, we opened up to the European markets and finally, in 2000, we arrived in the United States. The continuity is represented by the respect for tradition and the raw material, but above all, by the quality that has remained at the highest level. Today, Monini allocates 35% of its production to exports: Europe is at the head, with countries such as Poland, Russia, Switzerland, but also the United States, Canada and Asia. We are also growing well in China. In 2001, Monini invested in Australia, in New South Wales, acquiring 700 hectares of land in which 300 are allocated for cultivation. We have established a modern olive grove with 110 thousand plants of Frantoio, Leccino, Pendolino and Coratina, which were brought over as young plants from Italy”. In the United States, how is consumption of your oil distributed geographically? “The East Coast absorbs 30% of our United States exports, with cities such as New York, Boston and Philadelphia at the head. In North America, 60% of our production is distributed to retail, while 40% to the food service industry. Before, we were present almost exclusively 100% in the food service industry, which is the primary lead industry if you want to begin breaking into foreign markets. Today, other cities, such as Chicago, are in net growth — or even Los Angeles. In the future, we are aiming at smaller markets, in more rural areas”. What are the error that Italian companies often make when they wish to enter the US market with their products? “Companies often arrive in the United States thinking that it will be an easy win because the company is already consolidated in Italy. Many arrive in America with an Italian approach, but you have to remember that this country has different rules, and above all, a different culture. The most important thing is to remember that the Untied States does not represent one market, but different markets, from Florida to Portland, from the East Coast to the West – they are all states, areas, with different mentalities and cultures, where you must convey the product with different messages and strategies. I advise, if you want to be successful in America, to survey the various geographical areas — explore them, get to know them, aim at continuity, understand how the mentality works, and don’t ever get discouraged”. How does Monini defend the Made in Italy merchandise mark and what will the brand look like in 20 years? “Our brand has always been characterized by the production of extra virgin olive oil, at 95%. Since being present in the United States, we do not make an ad hoc product for the American market. Our oil arrives directly from Italy – we do not have a plant in the United States, except for our business headquarters that manages sales and inventory. The products that are sold on the shelves in Italy, in Europe, are the same products that arrive in the United States. Our product is authentic, of quality. We do not compromise on the quality to satisfy the pockets of American consumers that want to spend less. In 20 years from now, I imagine – and hope – Monini will be a consolidated brand that has reached great results, but that can and must still grow, especially in the American market”. What are the guidelines for the American consumer that is not familiar with you and wishes to purchase Italian olive oil? “The American market is a complex one where there are 4 times as many product choices in comparison to what you find on supermarket shelves in Italy. Sometimes you get confused in a supermarket when faced with so many product choices of the same category. Unfortunately, sometimes consumers make a choice based on the appearance of the bottle, often portraying a beautiful image and claim, and it is here that ‘Italian sounding’ is damaging. Only correct information – including understanding the origin of the product ad authenticity of the brand– can assist the consumer in choosing a product based on its quality”. What do you aim at to set yourselves apart from your competitors? “Quality and the history of the company always remain strong, and today we’re aiming at the Italian regional mono-cultivar, spanning a trend that is beginning in the United States. Monini presents itself on the American market with regional cultivars, such as the Sicilian Nocellara del Belice, the Tuscan Frantoio, and the Coratina from Puglia”. You have a long carrier in the export and sales industry. You studied at Boston College and the Monini company chose you as president of its US company. In what way have you made use of your experience and educational background? “My studies in marketing and human resources at Boston College certainly allowed me to be trained in America and to become familiar with its system from a young age. After completing my college degree at Boston College, I returned to Italy to work for family-run businesses, and for a year I also worked for Johnson & Johnson. I entered to become part of the Monini company in 1993 as an Export Sales Manager, and in 2000 the company wanted me to oversee the American market in the role of president of Monini USA. A great satisfaction for me, having been part of the growth of this company in such a key export market.